It's never easy to have a mood disorder, but struggling to get an accurate diagnosis can make the problem even worse. For years, this was the case for people who wrestled with anxiety and depression, but weren't anxious enough to be diagnosed with generalized anxiety disorders and didn't have depressive episodes severe enough for a depression diagnosis. Fortunately, that's changing. The 10th revision of the International Statistical Classification of Diseases and Related Health Problems included a new condition: mixed anxiety and depressive disorder (MADD). This allowed patients who fell into this "in-between" area to receive a descriptive diagnosis and allowed researchers to focus on treatment options for this particular condition. Of course, part of the reason they came up with this diagnosis is to find new drugs for it. But there's another way to help with MADD. 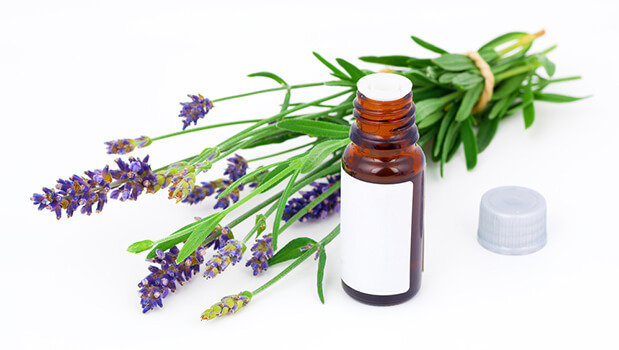 One beneficial treatment for MADD is derived from safe, natural lavender oil. If you've ever used lavender to help you relax, you know that lavender can have a calming effect. And according to a study published in European Neuropsychopharmacology, lavender oil can magnify this feeling of calm in people with MADD. For the study, researchers divided over 300 participants with MADD into two groups. For over two months, the participants received either a placebo or a substance called Silexan, which contains 80 mg of lavender oil. The researchers used several tests and inventories, including the Hamilton Anxiety Rating Scala (HAMA) and the Montgomery Åsberg Depression Rating Scale (MADRS), to evaluate the effects of the treatment. By the end of the study, members of the group receiving the Silexan had statistically significant decreases in their HAMA and MADRS scores compared to the placebo group. The benefits started around week four and continued through the end of the study. Overall, their anxiety levels improved, as did their depression subscore on the Hospital Anxiety and Depression Scale. Further analysis showed that the worse the participants' symptoms were when the study started, the more the Silexan helped. Their daily living skills improved significantly, as did their general heath, vitality, social functioning, and levels of bodily pain. The other good news is that the researchers found Silexan to be safe. The only side effect they identified was some burping! If you know that you're struggling with anxious and depressive feelings that aren't bad enough to warrant more aggressive treatments, try using Silexan or another form of lavender oil. You can buy Silexan online in a product by Nature's Way called CalmAid. And there are several other lavender products from other companies also online. You might find that you have a great remedy without having to worry about side effects.